This sneaker find just screams the future is now. A precious reaction, the ‘Platinum’ Air Max 720 cements Nike’s place further in sneaker legacy. 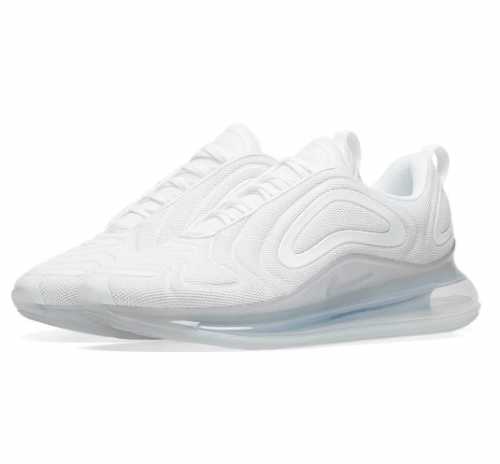 Coveted for its unravelled height, the Air unit of the 720 reaches higher than any other; representing Nike’s visible Air with a completely transparent midsole, while the upper’s moulded appearance blends mesh and TPU accents for a clean-cut finish. Now that we have you wanting them go HERE to purchase this summer perfect kicks.